Or maybe you want to try fishing with different equipment (bigger, smaller, new technology, relay through a satellite, etc) and see if that helps or hurts what you "reel in". Anyone interested in amateur radio should consider studying for their license before dropping any money on a radio. While the radio is cheap, it's still money wasted if you can't use it because you don't have a license. The student guide's I most often recommend are the Technician study guide by Gordon West, WB6NOA, or the Technician study guide by the ARRL. I posted earlier about my new MountainTopper Radio. They're only being made and sold in small batches so I was never able to get my hands on one until January 2016. When I visited the site and saw they were for sale, I jumped at the opportunity to secure one of the little radios and it arrived a couple of weeks later. I had a business trip to go on so I wasn't able to fully get to know the radio until I got home. After I got home, the following Monday I got on the radio with the manual open on my computer. I got a feel for all the features packed into the limited number of buttons. After a while I really got the hang of it. The next night (Tuesday) was a NAQCC Weeknight Sprint (a mini 2-hr radio contest) and it was also a night when class was cancelled. The 40m band was in pretty decent condition that night and I easily nabbed 5 different states. At the conclusion of the contest I made a couple more contacts and decided I loved the little radio. I've been using it nightly for the past week, making at least one QRP CW contact each day ...and that's where I've learned something. It's something I heard guys say over and over again and, like you reading this, I've seen others write about: CW Works. It's not just some old geezer claiming his tastes/choice mode is superior. What I mean to say is when the bands are great or incredibly noisy, CW still gets through. To modify the slogan "When all else fails... CW". Sure, digital modes get through when conditions are equally rough. (I first learned that late at night during Field Day one year using PSK31. The radio is very small - about the size of a deck of cards. There's no internal antenna tuner or battery. The volume, RF gain, and filter settings are fixed so there's no need for adjustment knobs. Nor is there a tuning knob. 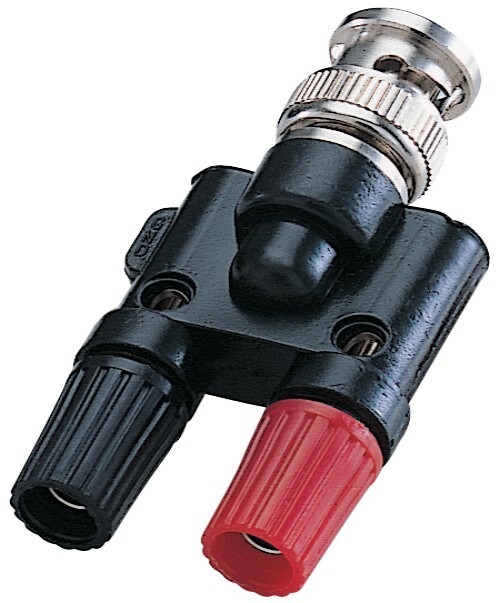 Tuning is done by two push buttons (UP and DOWN) that nudge the VFO up or down 50Hz. Holding down the button will change the frequency in 100Hz steps at a rate of 10 steps per second. The elimination of knobs on the face of the radio allows the radio to pack very small. It's so small in fact, I was moved to get a Micro key from KK5PY. It has to be the smallest paddles I've ever used. To match the small size, the MTR can be powered by a 9V battery or a small 12V LiPo battery pack. Pack in some earbuds, a wire antenna, and a paper logbook and the whole kit fits into a small padded, zippered case ready to go. It's a radio meant for travel! I can't wait to take it on the road with me. I've been using it to make QRP CW contacts each day for the past week and I'm going to try to get QRP Worked All States on 40m CW. This is a continuation of a two part series about how to configure hamlib for Linux ham radio users. To get started, be sure to read through Part 1. In the last post, I pointed out that hamlib was create to simplify the once fragmented world of computer control for amateur radio. With hamlib in place, developers can interact with hamlib which serves as an abstraction layer of sorts for software development. Developers don't need to worry that you're running a particular model of radio, so long as you get your radio working with hamlib, your radio is supported. I'm going to assume you have /dev/radio and /dev/rotator already configured (since we did that in the previous post). Now, we're going to configure the daemons (servers) that allow a myriad of radio related applications to interact with your amateur radio equipment. Hamlib centers around two core daemons: rigctld and rotctld. The daemons receive commands from applications via TCP. It is possible to have these daemons controlled via the network if you so wish. That functionality is a bit beyond the scope of this article, but the concepts below are exactly the same and just requires the correct ports be opened. Speaking of ports, rigctld and rotctld use ports 4532 and 4533, respectively. Also note that there is no security built into these devices. Should you need external connectivity, you should create an SSH tunnel. The first step in configuring rigctld is to find if your particular radio (and rotator for rotctld) is supported. Here is a list of all supported radios for rigctld (chances are, if it's a modern radio with computer interface, it's supported). For rotctld, things get a little more difficult. In order to see if your rotator controller is supported, you need to identify which protocol is supported. Most modern distributions of Linux include a subsystem to handle when USB devices are inserted. Another alternative to learning the code is one of dozens of Koch method trainers. The Koch method, and most others, ram the code into your head seemingly through brute force. Since I got my Arrow Antenna, I've been trying to contact all 50 states by satellite (aka Worked All States). I know a few states are going to be tough (if they're even possible). I know Alaska and Hawaii will probably have to be a scheduled contact. Since the pass that will allow us to contact each other will be very low on the horizon. I have been getting about 2 passes a day from the satellite AO-27, one usually to the east then the second passing more to the west. I've been steadily adding states as I hear them. I'm also making contacts via Echo (AO-51) which is very busy on it's nightly passes. If it weren't for the listing on Heavens Above, I'd prob be lost as to when to listen for a satellite. For those stations that have sent me a QSL card, I will send out a batch as soon as my new ones arrive. The map above is a listing of those states which I've contacted (yellow) and those that I've received a QSL card from (green). 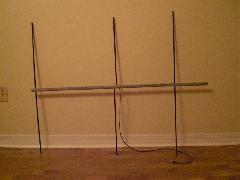 This past Thursday afternoon I received my new Arrow Antenna. 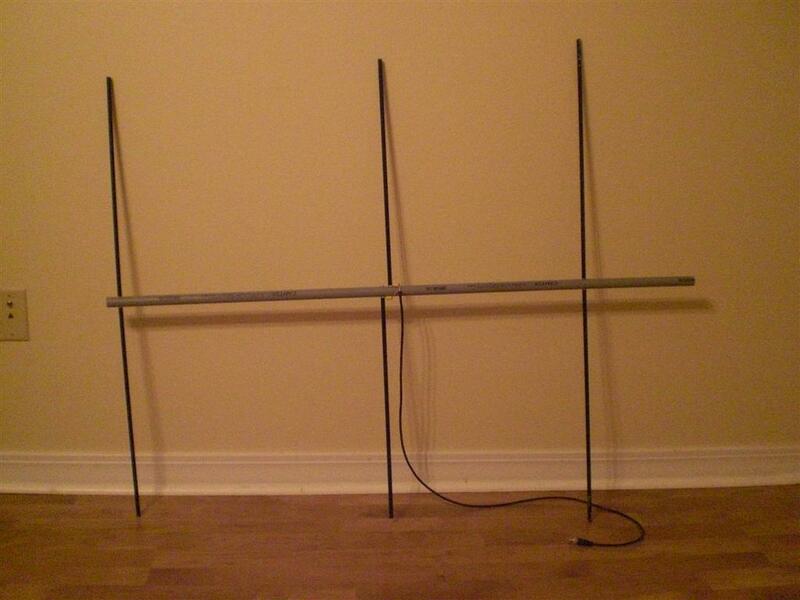 It's a dual-band (2m/70cm) handheld yagi antenna made from aluminum arrow shafts for making contacts with amateur radio satellites. What? You didn't know there were ham radio satellites? Yep, and there's more than one. Using Heavens-Above, I can find when each satellite will be making a pass over my location as well as the angle and direction of the approach and apex. About an hour after I got the antenna, AO-27 was making one of its daily passes over me. I made sure everything was in order, set my radio to the right frequencies and walked to the field across from my house. Right off the bat I heard guys in New England talking with guys in Florida. Most everyone on the air was using a handheld with relatively low power (under 5W, which normally isn't enough to even get you across town). After just a few minutes I heard my chance to throw out my call. Right away I had two stations come back to me. 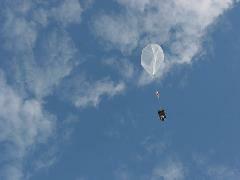 First time to ever hear the satellite and I was making a contact on one. Unfortunately I didn't have a free hand to write down his callsign and I forgot it! Oops! How does it work? Essentially the little satellite takes my signal and rebroadcasts it like a ground-based repeater does, only it's up - way up. Because it's up so high, it can rebroadcast my signal to most of North America. To hear me all the other station has to do is listen on the "downlink" frequency. Really it doesn't take any special antenna to allow this, it's just this antenna is very efficient and easy to aim at just the right spot. I've been messing with some scripts lately that fill a couple of online niches for ham radio. Most of the visitors to Neodux might not find them very useful, but I'm linking it here for posterity and to explain to any visitor looking for ham radio information what they can find. Lastly, I have a notification script. When you take your FCC test, you have to wait for the FCC to post your information in their database. Rather than hunting it down yourself and checking daily for any news, you can put your name on the list to be notified and the script will shoot you an email when your name is posted. I hope any ham-visitors find them interesting and useful. That is all. update: I just added a second color to the WAS map. States listed with the verified tag, will turn green. This is to denote the states from which a QSL card has been received. Since I've been here at LeTourneau, I've had the chance to meet a few other ham radio operators. Problem is, none of us can have any substantial antenna setups in order to make many contacts, if any at all. After speaking with a couple of guys, we decided to reorganize the LeTourneau Univ. Amateur Radio Club (LUARC) and host a special event station. LUARC was more or less disbanded once the old shack was torn down to make way for Glaske Hall. Since none of us have been able to play on the air very much, our special event will be nothing more than a chance to get on the air and hang out. It just so happens that the day we chose will coincide with the opening of the Texas QSO Party. We will be meeting on top of the birm, in the center of campus. We will be putting up the antennas around 12:00pm on Saturday and operating into the early evening. Everyone is welcome to stop by and check out our setup or operate - no license is required. If you're on Facebook, you can see our LUARC Special Event page for Facebook. For about the past month or so I've been eyeballing PSK31 for ham radio. It's one of the newest protocols for digital transmissions for ham radio. PSK31 allows radio operators to send text messages back and forth rather than morse code (CW) or speech (phone). It's like chatting without a network connection. Granted, many of the regular readers on neodux aren't ham operators, but it is a very interesting aspect of radio that begins to border line on hackable projects. In the event you ever wanted to start with PSK31, here's a primer. There are plenty of freeware programs to allow you to decode PSK31. All you need is an HF receiver, a verymodest computer and an 1/8"-to-1/8" stereo cable to hook the radio up to the computer. Install one of the PSK31 programs and you'll see text streaming in from current hams conversing over a whole array of topics. It's amazing that the computer is able to pull intelligable data from amid a whole field of static. I was able to read text from a signal I could barely hear, but could only see on the "waterfall" display. Another cool aspect is the lower power requirements of PSK31. 100W is overkill to work the world! To transmit you might need a slightly more advanced setup than a single wire, but nothing you can't build cheaply or conveniently purchase from plenty of vendors online. While at the Belton Hamfest, I saw a DB9 model for Yaesu radios, I would've bought it if it would've worked for my Icom 706mkIIg. update: I've now ordered a USB interface directly from Saratoga Amateur Radio which should be in shortly, and I'll post more on it after I've had time to break it in. Also for the curious, here are a couple more links about PSK31. If you really want to know, here is the PSK31 author's primer on how it works. 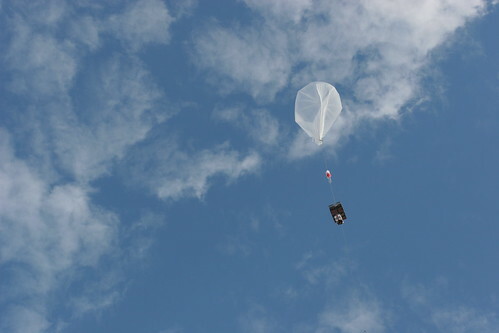 I just got back from a weekend in Austin that started with the Belton Hamfest in Belton,TX. I took a few items that I wanted to sell. My AT-100Pro autotuner wasn't exactly what I wanted. The interface was a bit more "clunky" that I would have liked. (I received it as part of my trade for the Icom 706mkIIg.) I also sold the Yaesu FRG-100 receiver, as well as my Yaesu FT-2800 2m mobile that I had in my car, (I bought it almost 2yrs ago at the same hamfest for $95, I sold it for $120!) and a couple of other things. After selling I went shopping. I bought the LDG Z-100 autotuner which does the same thing as the other tuner, with one antenna and is a bit smaller; and it looks nice atop my radio. I also got the seperation kit for the 706 so I can mount the radio under my seat and have just the control head in view. On my way out I grabbed a few small 2-3W solar panels for $5. The convention center wasn't as full as I'd seen in the past, there were some neat items, but nothing remarkable. I did leave with some good gear and more money in my pocket than I came in with. I've finally got back on the air in the HF bands. After over 6 months of not having my radio reach any further than the local 2 meter repeaters (maybe 20mi away max), I finally have an antenna that lets me talk outside the state. I bought a used Bilal Isotron 40 meter antenna from W6KIP off eham.net. I received the antenna after over a week-and-a-half long trek through the incredibly slow USPS shipping machine. That was on Friday, February 3. I assembled it and began thinking exactly how I wanted to mount it. I finally decided to mount the short "mast" (if you'd call it that) on one of the 3 vent pipes on the roof. I'll post a picture of it soon. Part of my reason for using Isotron was the small size (only 22" wide). Looking at the antenna, you wouldn't even know it was an antenna, it looks more like a weather vane or birdfeeder. Being on campus, I didn't really want a very conspicuous antenna if I could help it. I haven't quite finished fine tuning the antenna, but I can do that as soon as I get my hands on one of the local ham's antenna analyzer. I haven't made any contacts on it tonight due to an overwhelming amount of static on the 40-meter band. I've listened to a couple of nets, one on 7.2335 said that this is the worst noise they've had all month - what luck! Update: Well, it turns out the noise isn't just on the band, although that particular night was particularly bad. It seems that the high level of noise (aka static) that I'm receiving is due to a local area thing. Most likely due to the power lines nearby. I just got back from passing my Amateur Extra test. This is the top of the licensing structure, I now have full privileges on the ham bands. It's not quite as big of a step from General to Extra as it was from Technician to General, in terms of privileges. There's just a bit more frequencies I can use now, and it feels good to have climbed the ranks. Granted, there's still plenty that I don't know, and plenty that I'm hungry to know more about. The Extra test was just a written test (no code test involved), but the content is a bit more in depth and alot more technical than the previous tests. I had only really been studying in earnest, this week (Spring Break). I didn't just beat the snot out of the test, it was a nail-biter, much like my previous Morse test. I could probably do better if I took it again at a later date and studied more - but I passed, that's all that matters, and I'm happy for that. edit: I just passed my Amateur Extra class license test! As most of you know, I got my General class license for ham radio. This allows me to operate on the HF (<50Mhz) bands. These are the bands that are what most people associate with ham radio: talking around the world. I have been logging my contacts in my log book and have decided to start trying for the ARRL Worked All States Award. As you can see from the map, I have quite a ways to go, but it should prove to be a fun goal. This is only using the 20m band, which is what my dipole was contructed for. The limitation to this is that it is virtually dead at night. As far as distance goes, I have logged contacts from my apartment with a station in the Cook Islands (in the South Pacific), the island of Trinidad (in the south Carribean) and 2 contacts in Canada (one in BC, the other in SK). At the SFA radio club station, I have logged various states, Canada, England and even Serbia! While I'm on the subject of ham radio, I attended a "Hamfest" (ham radio swapmeet) this weekend in Orange, TX. I picked up some radio odds and ends, and an Extra Class study manual. I hope to take this test at the end of next month, but more realistically, it will be in the coming months. The Extra Class test (Element 4) is the highest level test for amateur radio, as well as the hardest and most technically challenging. By passing the test, I will be afforded access to certain portions of the spectrum reserved for other Extra class operators. Big whoop, I know. Tonight I passed both the written and code section of the FCC Amateur Radio Licensing tests to gain my General license. I had studied Morse Code off and on for the past few months. I thought I was ready back in December, but failed at that attempt. Tonight I passed, not perfect, but a good showing, nonetheless. I was sure I would walk away defeated once more, but after Army, AE5P, counted up more than 35 characters in a row, I was elated to find out I passed. I also gave the written portion of the test a try and found out I remembered more of it than I thought - I hadn't studied since December! (...and that was studying with a slightly outdated book!) I passed with a 24/30, not as good as I'd liked to have made, but a passing score is a passing score. I was really shocked, I was only expecting to eek by on the Element 1 code test, but, in the end, I got both. Very glad to have accomplished this. I had connection problems with Echolink preventing me from joining the website discussion this evening. I would like to use this to voice my opinion. All the webserver will need is PHP and MySQL (although, any other database platform would suffice). It is also important that we not sink a ton of money into this venture to begin with. As important as the club is to all of us, and any hams we may talk to, the general public is unaware that there is even a hobby called ham radio! In this vein, our server will not generate very much traffic, especially enough for us to take full advantage of even the cheapest hosting packages. We won't have hundereds of visitors per month. The main users of the site will just be the NARC. Today is the first ARRL Field Day exercise that I get to will participate in. Slashdot has a post about this too. Field Day is a chance for ham radio operators to check their ability to contact other stations without making use of commercial power (power company's power). Instead, ham groups band together, use generators and power their radios that way. Also included in Field Day is a competition between all ham groups. Each group tries to contact as many other ham radio operators as possible, gaining points for the distance, frequency and power level used. Each group logs their contacts and, in the end, sends their log to the ARRL for ranking. I volunteered to supply the Nacogdoches Amateur Radio Club with 4 laptops from my office at SFA to use as "logging stations" with some software the group purchased for this purpose. "Field Day" continues all day Saturday until Sunday evening, depending on when each group begins making contacts. Check with your local group to find their location and check out their stuff. 73! The laptop setup was cool, had some problems, but it worked well overall. 3 logging stations with a 4th setup to monitor a map of the US which shows each region where a contact was made. We ran that to a TV so we had a quick, at-a-glance look at where we were making our contacts. The antenna array setup was also cool. Anytime you need a potato gun to hoist an antenna into a tree, is a good day. 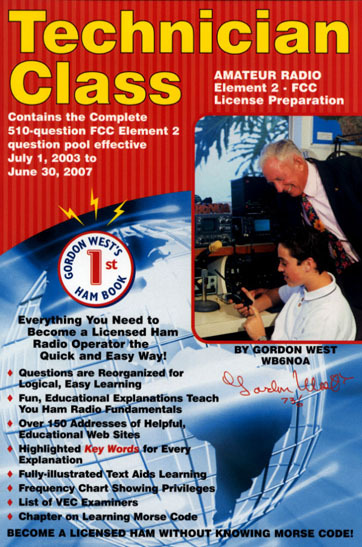 I went to Fry's on Friday afternoon with my girlfriend, I picked up a copy of Gordon West's book for studying for the Technician License for Amateur (Ham) Radio from the FCC. Those of you wondering what Ham Radio is or looking for more information should consult Google. In short, it is "short wave radio communications" or just a more powerful form of CB radio. The 2m band (144-148MHz) looks to be the first range that I will delve into. I urge you to check out Ham radio, especially the Technician license. 2-meter handhelds can be found on ebay for under $50. update: I picked up my radio today (April 11). It's a Yaesu FT-10R, 5W output. I bought it from a guy on ebay that lives about 15min from my parent's house. He also threw in a free external antenna. The radio is also modified to reach up to ~175MHz. I test next week. So far, so well. update #2: ...just installed my DTMF keypad for the radio. Makes frequency navigation much easier. I'm quite pleased, and the install was super-simple. Took me maybe 3 minutes to install. Awesome little radio. Page generated for 3.90.56.90 in 0.21356 seconds.